Our Make it Happen Monday series here at Loving the Bike is designed to help kick-start your week and set you off in a positive direction. Sometimes they may be motivational type posts and at times we like to feature inspirational people like the dude we’re highlighting today. Art Jones got into road cycling in February, 2007. He had just finished rehab on a knee injury and was looking for a way to get his body in better shape. It was his brother-in-law who suggested cycling to him, and he decided to give it a shot. Sounds like a fairly typical story so far, huh? Well the one difference between Art and many other cyclists who get started in the sport is that he’s blind. This adds just a little degree of difficulty now doesn’t it? Art’s brother-in-law, Ivan Morgan, had a tandem bike and when he suggesting cycling to Art he meant for him to travel with him on his bike. 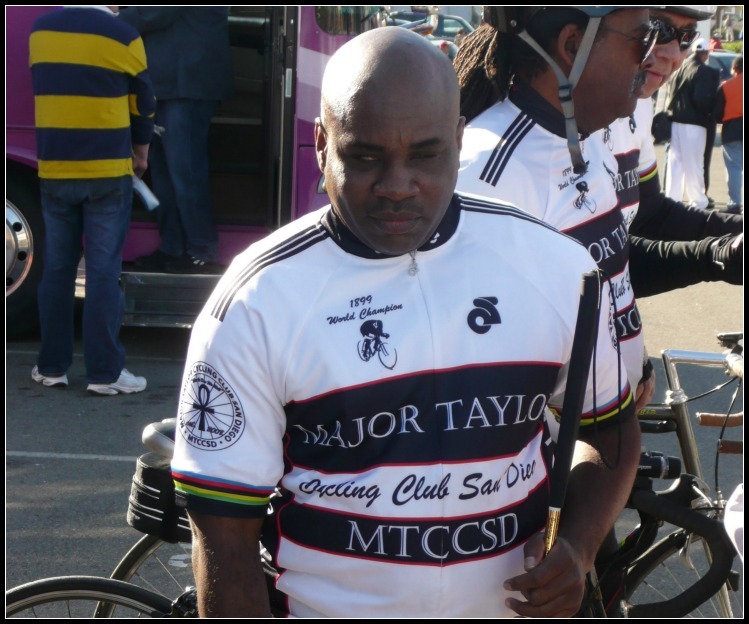 Ivan had just started riding with the Major Taylor riders and immediately introduced Art to the group as well. Soon after, he was starting to do long distance rides including an event for the American Diabetes Association….oh yeah, did I mention he’s diabetic as well? 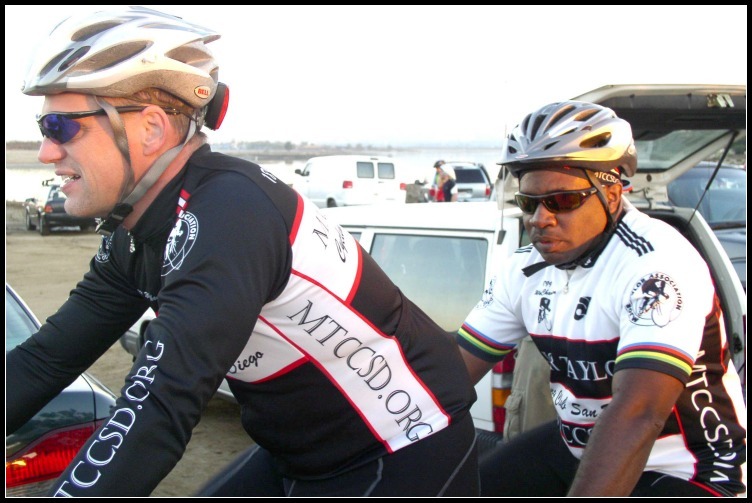 Still in 2007, Art met Dave White from the Cycling for Sight bicycle group and began riding with them as well. Before the year was over, he had successfully taken part in a 230 mile, three-day ride. Why is Art Loving the Bike? I’d say that Art has already accumulated a bunch of success on the bike, but he’s far from being done. This year he plans on finishing the California Triple Crown – completing 3 double centuries in one year. He’s already got one double under his belt this year, and is determined to keep going to become the first blind person ever to complete the triple crown. He also has the goal of completing the Race Across America (RAAM) as well, but his focus is currently on achieving this summer’s mission first. He’d like to gather a team of blind cyclists to complete the RAAM with him and in doing so, “make the world see us as a team that can do anything on the bike”. There are so many inspirational cyclists out there in the world, and for today I wanted to introduce you to Art and add him to the list. He’s certainly Making it Happen. Doesn’t mention his Captains for these rides. How are they connected to this. I see he met-up with Dave White, but that is all it mentions. Not trying to take anything away from Art’s accomplishments. Having worked with the Blind and Visually Impaired on rides, as a captain, it is very much a team effort. You have to work very well together and communicate well. Almost acting as one person. We promote teamwork and camaraderie in the Blind Stokers Club. Tandeming requires both physical and social compatibility. Art has teamed with several tandem partners, including his brother in-law Ivan Morgan. Currently, Art logs most of his miles with Don Counts. Thanks for this information, Dave. Keep up the great work over there. Art is an amazing guy. I rode a three day charity ride with him a few years ago. The story does not metion that he is also into BMX, works on his own bikes and can still do BMX tricks by himself on a regular BMX bike! GO ART! Thanks Rob, I didn’t know about that part of the story. That is amazing and I’ll need to ask Art about that the next time we talk. I need to see some video of that for sure. Art, you are incredibly inspirational. Good luck on your quest, and have fun doing it! So inspiring. Thanks for sharing this story. All the best to you, Art. What a beautiful and inspiring story. My hat goes off to you, Art and best of luck in reaching all your goals.